French scholar of the thirteenth century. He was the author of a commentary on the "Moreh Nebukim," which is still extant in manuscript in the Library of the Neophytes at Rome. 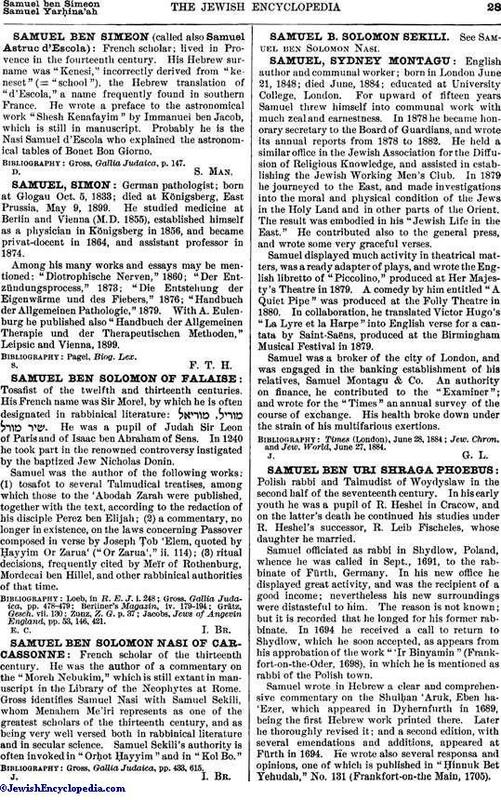 Gross identifies Samuel Nasi with Samuel Sekili, whom Menahem Me'iri represents as one of the greatest scholars of the thirteenth century, and as being very well versed both in rabbinical literature and in secular science. Samuel Sekili's authority is often invoked in "Orḥot Ḥayyim" and in "Kol Bo." Gross, Gallia Judaica, pp. 433, 615.